FY31008 series high-speed stretch sewing machines is suitable for sewing kintted under wear, sports shirts and trousers, elastic tape of skirts etc. such as collar edge and sleeve-cuff etc. 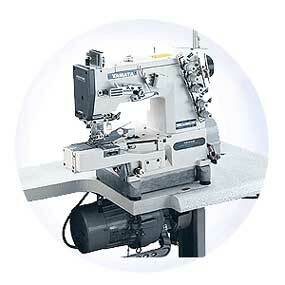 This series machine can from basic stitch and covering stitch. On the above-mentioned basic stitches, through derivation, it can also be used as special sewing machine to sew nylon zippers and scallops.